Join our monthly book chat on "China Shakes the World" by James Kynge". You are also welcome even though you may not have read a single page of the book yet. Just join our discussion! "Let China sleep, for when she wakes, she will shake the world." Napoleon's words seem eerily prescient today, as the shock waves from China's awakening reverberate across the globe. In China Shakes the World, the former China bureau chief of the Financial Times, James Kynge, traces these tremors from Beijing to Europe to the Midwest as China's ravenous hunger for jobs, raw materials, energy, and food - and its export of goods, workers and investments - drastically reshape world trade and politics. Delving beyond mere recitation of by-now-familiar statistics, Kynge's on-the-ground reporting provides alternative explanations for China's explosive transformation, revealing many of the usual reasons given for its growth to be myths. Most important for the future, he details China's deep, systemic weaknesses - rampant fraud, crippling environmental crises, a corrupt banking system, faltering government institutions, a rapidly aging population - which threaten even greater global disruptions. And he demonstrates the profound consequences of those weaknesses for American manufacturers, oil companies, banks, and ordinary consumers. Through dramatic stories of entrepreneurs and visionaries, factory workers and store clerks at the heart of this global phenomenon, China Shakes the World explains how China's breakneck rise occurred, the extraordinary problems the country now faces, and the consequences of both for the twenty-first century. 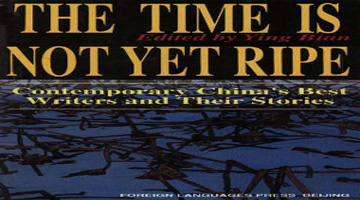 The CCC Book Club is one of the earlist book clubs for the expariates living in Beijing and the only book meeting groups focusing on China-related books for the international community.